The Lawrence High School Drumline is a very important part of the Marching Lions. This is an auditioned group of percussionist that is comprised of a Marching Unit (Battery) and a Stationary Unit (Front Ensemble). Students interested in auditioning for this group will have clinic sessions in the month of November and January. In the beginning of February an audition for the staff will occur. Because of the importance of the group and difficulty of the music there will be more practices than the regular band. Drumline will practice on Wednesdays from 6:30 – 8:30 PM during the marching season and will be expected to practice more in the summer band camp and other summer sessions. Mr. Patrick McCarty, a native of Lawrence and Emporia, KS has been an active participant in all mediums of instrumental music, including concert band, marching band, pep band, jazz band, and percussion. Currently, Mr. McCarty serves as the Director of Athletic Bands and Instrumental Studies at Avila University in Kansas City, MO, where he directs the athletic bands, teaches music appreciation, music education courses, and private studio lessons. 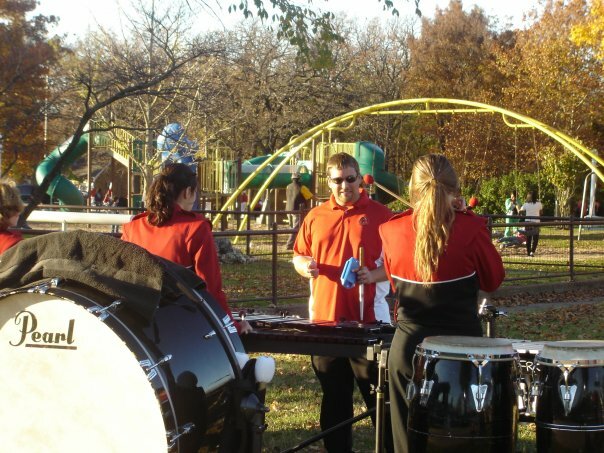 Mr. McCarty also serves as percussion instructor for Lawrence High School in Lawrence, KS. Prior to his work at Avila University, Patrick was the Assistant Director of Bands at Lawrence (KS) High School from 2005-2010, where he conducted the LHS Concert Band, guided the percussion program, instructed beginning band classes, and helped assist the award winning LHS Marching Lions in several very successful years. Patrick is a graduate of The University of Kansas, where he earned his Bachelors of Music Education and Masters of Music Education and was a very active member of the KU Band Department. He enjoyed his membership in the KU Marching Jayhawks, KU Wind Ensemble, and back-to-back NCAA Final Four appearances with the KU Basketball Band in 2002 and 2003. Patrick was also a member of the Colts Drum & Bugle Corps in the summer of 1999. 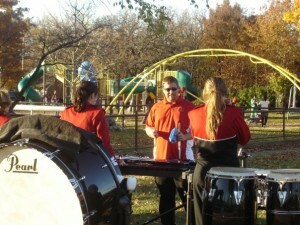 Patrick has been a band and percussion clinician throughout Kansas & Missouri for several years. He has also become well-known throughout the area for his marching band and pep band arrangements, which have been performed by various bands around Kansas, including Lawrence High School, and university groups such as The University of Kansas Basketball Bands & Marching Jayhawks, and also the Arizona State University Sun Devil Marching Band & Pep Bands.